Adele has been inspiring children in Sydney’s Eastern Suburbs since 2000. Action Kid classes are held in various venues across Sydney including Bondi Junction and Alexandria at Action Studios, the home of Action Kids. Adele is a well-known and much loved face on the pre-schooler ‘scene’ and has been teaching many local babies and toddlers funky moves and grooves. Adele a qualified Sports Therapist and Phys Ed specialist for under 8’s and children with special needs migrated from London to work at the Sydney 2000 Olympics. After travelling around Australia, Adele realised that Sydney would be a great place to bring Action Kids. 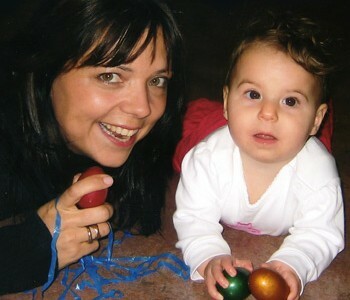 Adele taught classes, together with her best friend and business partner, Amanda, in various venues across West London. Amanda is still running classes across London. Check out www.amandasactionclub.co.uk if you are visiting London or tell your friends to visit. You can also check out Amanda’s range of CD’S mixing up funky nursery rhymes.